My health is deteriorating, but I’ve found a new way to take charge and to help myself in this constant battle with my own body. Yes, the food I am putting into my body, or more specifically, the food I am now no longer putting into my body, is helping in my day-to-day battle with pain. 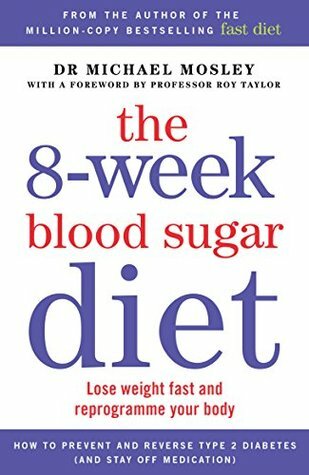 Back in June, I read a book called The 8 Week Blood Sugar Diet by a Dr Michael Mosley. The book is geared towards diabetics, specifically, type 2 diabetics. Dr Mosley claims that he can cure type 2 diabetes through diet alone. I’d also read a post on Facebook where a woman claimed she had lost a huge amount of weight in only a month after reading this book – and she had the photos to prove it. I was curious. I’m not diabetic. I have a family member (married into – not blood) who is, and I tend to put my weight straight to my stomach, so as I get older I am easily at risk of going into the prediabetes category anyway. I loved the science behind the book. It was in simple speak and backed up by the evidence of people having followed Dr Mosley’s simple plan. Basically, sugars and carbs are bad. I then thought back to Ella Woodward, the young woman who had changed her diet to support her recovery back to health. (Though I have one caveat with saying diet can cure POTS – with what I’m saying in this post I completely believe her recovery was down to her diet, but there are two types of POTS. I have the secondary type, due to EDS, my veins are too loose to pump my blood around my body properly and you are never going to tighten them up with food. I just wish the fact that there were two types of POTS were made clear when she made the claims, as it is with Dr Mosley’s book with and diabetes. There’s no way he could cure type 1 diabetes.) Anyway, thinking back to Ella, I realised that food is important to our bodies and is in fact very impactive and does play a bigger role in things than maybe we understand. I then got speaking to Pam, a friend of mine, who has a massive allergy problem, so much so that she needs an EpiPen, she is having to control her life through food because a lot of her allergies are food related. And they’re not the usual culprits. It’s bizarre. But she’s had to pare back to basics and it was interesting (sorry Pam) to watch the process of food and its impact on the human body. So, between these three things, I decided I was going to do this for myself. In mid-June, I cut out sugars and carbs. In 4 weeks I lost 10 lbs and I’d halved my painkiller intake. Halved it. I had also had a pain crisis from overdoing it during the book launch and needed to go to A&E, but changing my diet isn’t a magic cure for an unstable neck and head. It is, however, another weapon in my arsenal against the daily pain I live with and if it works then I’m taking it. I’ve lots to learn about the diet yet. I haven’t been rigid – I ate too much in the way of sugars on holiday and am now losing the 5lb I put on (2lb off in 5 days). I haven’t touched bread, pasta or potatoes since I started in June, but my diet is very basic at the minute and I need to learn more about what I can eat. But, it’s a start and I’m enjoying the journey. I hope I can share it with you? Good to hear it’s making a difference for you! Diet has a huge impact on our bodies. We eat so much processed food, sugar, and fat now. And unlike a hundred years ago, we don’t wear it off. Now, in our house, we do eat our carbs. But we eat very little sugar, no dairy, no beef, and lots of fruits and vegetables. As a result, we are both in great shape (neither of us looks in our fifties) and we score a perfect A+ on our physicals every year. And we feel better! So yes, our diet has made a big difference. That’s great to hear Alex. Knowing that it already works for others is incentive to keep at it for myself. Trying to get the rest of the family involved is another battle entirely though! Glad you’re feeling better with the altered diet. Halving the pain meds is huge! I don’t like the term ‘cured’ in relation to diabetes – it gives a false sense of security. Once you have it, you’ll always have it, but it can be successfully managed through diet alone, I know several people who have done just that. I understand what you’re saying though. As you read above, I don’t like the lack of distinction Ella misses with her curing herself of POTS. It can give a lot of people misinformation.